Scarlet Response is designed to expose the Marines and Sailors to some of the industry's best practices in regards to evolving tactics, techniques and procedures (TTPs) during three days of lanes training and challenge the Battalion capability to manage personnel, equipment and resources during an intense 48-hour field training exercise. 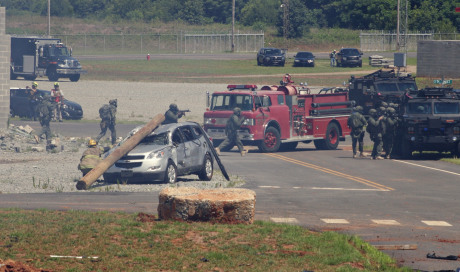 Guardian Centers and the team of subject matter experts develop realistic scenarios to train and exercise a battalion level staff in support of a full-scale response exercise in an urban city environment. Exercise Tacit Shield was a FEMA/OFDA mobilization event to conduct a mission-specific exercise to test its international urban search and rescue capability under the U.S. Agency for International Development and involved multiple federal USAR Task Force teams from across the country, international USAR elements, and DoD assets in Defense Support of Civil Authorities. 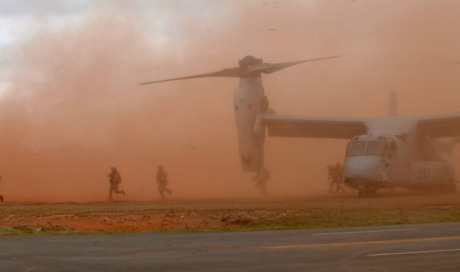 Multiple rescue and special forces units converged to conduct full mission profile exercises at Guardian Centers to exercise support and recovery of isolated personnel and equipment in contested areas in conjunction with ingress and egress of aircraft within the area. 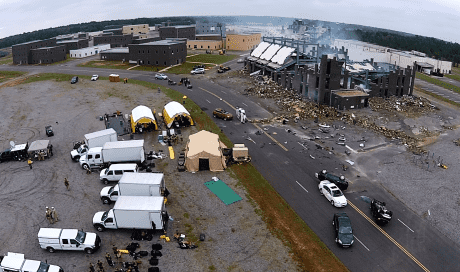 United States Army Reserve Command (USARC) emergency deployment and readiness exercise (EDRE), Operation Guardian, challenged the C2CRE with a complex scenario designed to exercise all facets of their response capability. This included command and control, reconnaissance, decontamination, medical operations, and logistics functions being performed in a complex urban area contaminated with chemical agents and radiological sources. Exercise Brown Thrasher was an Operations-based exercise designed to bring together critical assets of the Georgia Counter Terrorism Task Force (CTTF), and other State agencies, to evaluate and practice CTTF’s mission to serve as the State of Georgia’s rapid deployment protective-security force. The scenario storyline and venue provided the CTTF a fruitful exercise of its shared mission(s) to detect, prevent, protect against, mitigate, and respond to terrorist threats and attacks. The City of New York Incident Management Team and the City of New York Fire Department Special Operations Command led a, four day, full scale multi-agency exercise at Guardian Centers. This exercise revolved around a full mobilization response to an earthquake in an urban environment and involved over 400 responders from over 18 different jurisdictional, state, and federal organizations.